You need a garage door that works every time. That’s why you chose a genuine, original Overhead Door. Our doors are built for long-lasting, trouble-free performance. Our service technicians make sure it always stays that way. When you call, we send a technician who’s been screened, trained, and certified to provide 100% reliable service. You shouldn’t accept anything less for your genuine, original Overhead Door. Even if your door isn’t an Overhead Door Company brand door, our technicians can still provide you state-of-the-art service, no matter what brand door you own. 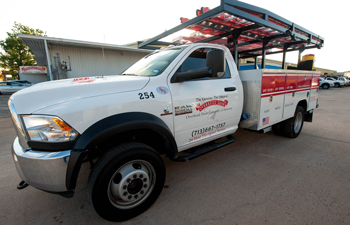 Whether you have a single door on a two-car garage, or a commercial facility with many overhead doors, Overhead Door Company of Houston has crews specifically trained to keep your door running properly.